Recently I did a deployment where a great and awesome longtime customer added a new site in Canada. I flew up to Canuckland to install new VMware servers, new Netapp 2240, and a Riverbed Steelhead. There was a partner Riverbed Steelhead here in PA at the customers office. This was a great deployment. Once I got everything worked out and configured, their WAN got a major injection of Honey BooBoos GoGoJuice. How much faster? 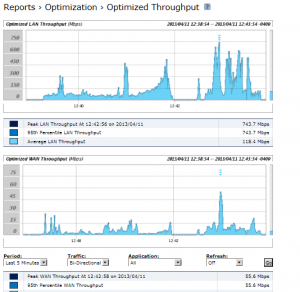 Optimization quickly jumped up to 97% WAN reduction and a 23.6X increase in throughput!!!! 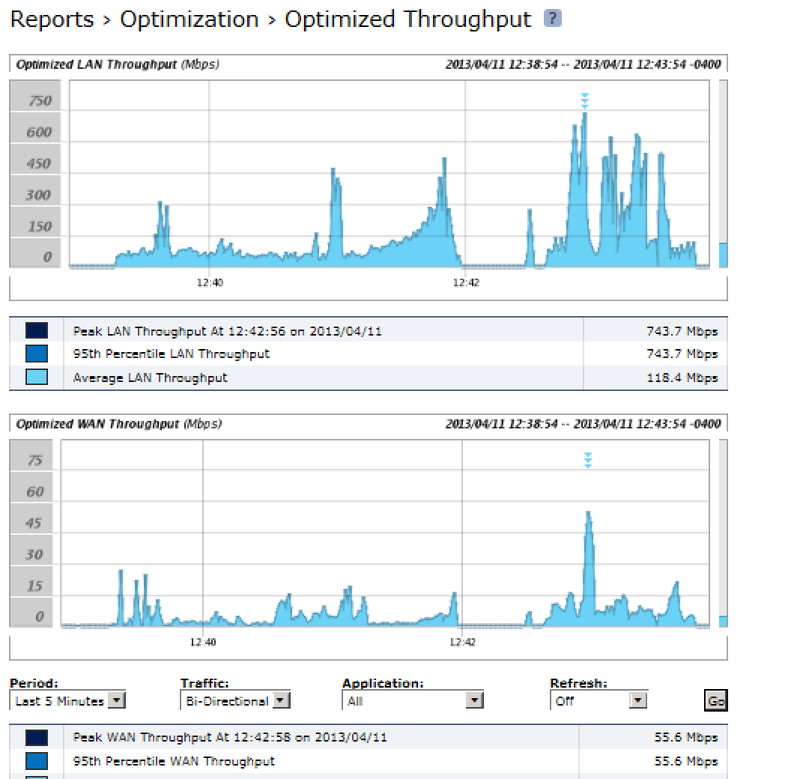 743Mb/s LAN throughput, fitting into 55Mb/s WAN bandwidth! !